UPDATE: 8.13.18 –This sweet little Houdini dog got out of the yard this morning. 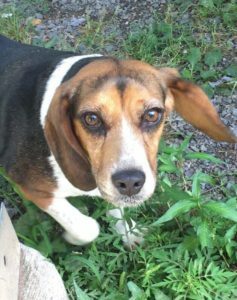 If you see her or know the owner do call Animal Control at 902-678-3647. Note this dog has been changed from Found to SIGHTED. Thank you. Additional Notes: This dog is lost. She has been hanging out at our place. In the meadowview Kentville area.